Jim is one of the first two New Hampshire attorneys to be recognized by nomination and selection as a Fellow of the Litigation Counsel of America (LCA). This national attorney honorary society elects less than ½ of one percent of attorneys as Fellows. Fellowship selection is based on proven effectiveness and accomplishment in trial and appellate practice, as well as a superior ethical reputation. Jim became a Fellow in 2007. Jim was recognized as a Senior Fellow in 2015. For over 20 years Jim served as an adjunct faculty member teaching at an annual intensive trial advocacy program at Widener University School of Law in Wilmington, Delaware. Each year Jim brought back techniques that helped him in assisting clients in resolving their pending litigation or civil claim. In addition, Jim presents routinely on litigation topics to members of the New Hampshire Bar Association. Jim credits his background as a West Point graduate, a graduate of the Army Ranger School, and his service as an Army Green Beret Captain, as having prepared him well for the discipline of a litigation practice in New Hampshire. He began his legal career as law clerk to the Chief Justice of the New Hampshire Supreme Court. He served for 20 years as an adjunct faculty member for trial practice at Widener School of Law. His legal skills have been refined through attendance at the National Institute of Trial Advocacy (NITA) program. His attention to detail serves his clients well in settlement resolutions and in the court room. Jim represents clients, from multi-national corporations to small businesses or individuals, in all courts of New Hampshire. He has pursued and defended claims involving contracts, construction, consumer protection, warranty, products liability, and various torts - including fraud, misrepresentation, and abuse of civil process. Jim handles a full range of family law matters, separation, divorce, custody and modifications to decrees. For clients considering how to minimize future problems he also counsels and drafts prenuptial agreements. 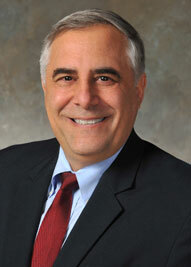 Jim's experience is direct in putting boundaries in place for issues that commonly explode in family law situations. Jim has been responsible for numerous real estate matters before the trial and probate courts of New Hampshire, including right of way claims, petitions to partition real estate, boundary issues, quieting title, mechanics liens and adverse possession. Jim regularly handles personal injury claims, emphasizing early preparation to maximize the opportunity to resolve the case for a client at the earliest juncture. Jim handles a full range of contested and probate matters including will contests and claims between fiduciary beneficiaries.